Kenya Cup side Nondies recently launched a new kit for both first team and ESS team sponsored by Tatu City and NRG Radio. 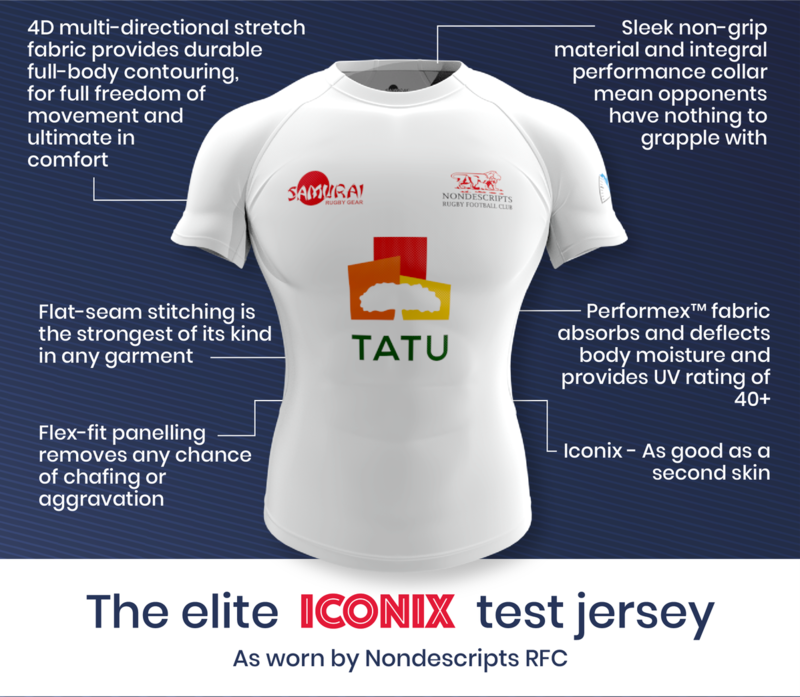 The new kit is an elite iconix test jersey which is available exclusively from Samurai Sportswear. What makes this shirt ICONIX? It has 4D multi-directional stretch fabric which provides durable full-body contouring for full freedom of movement and ultimate in comfort. At the top, it has a sleek non-grip material and integral performance collar meaning opponents have nothing to grapple with. Flat-seam stitching is the strongest of it's kind any garment while peformex fabric absorbs and deflects body moisture and provides UV rating of 40+. Towards down, the Iconix shirt has flex-fit panelling which removes any chance of chafing or aggravation. Samurai describe it as good as a second skin. One of it's benefits is the 4D stretch fabric that is durable, full-body and contouring. Diverted seaming which follows body's physique. The new Nondies kit made it's debut in a 5-41 defeat to Kabras but the team has since bounced back to winning ways beating Mean Machine and Nakuru for the first time in more than four years.